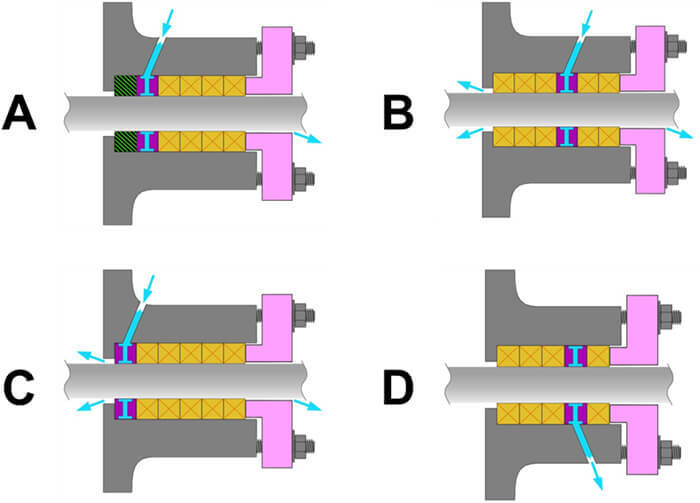 The Fluid Sealing Association (FSA) has released the fourth edition of the “Compression Packing Technical Manual.” This update represents a four-year intensive joint effort of FSA and European Sealing Association’s (ESA) compression packing technical committee’s new technical learnings. These learnings can help inform end users on industry best practices and performance characteristics of compression packings. A lantern ring is used to supply or extract different media to or from the stuffing box (Image 1). It has a number of holes and is located under a bore in the stuffing box housing for external injection or extraction of media. It can be made from metals like stainless steel, carbon steel or bronze or from plastic materials like polytetrafluoroethylene (PTFE), PTFE/carbon and others. Often, the lantern ring is used to supply a water flush for cooling the stuffing box or to apply grease for additional lubrication. Depending on the application and type of media, the location of the lantern ring and its function in the stuffing box may vary. In Image 2, different examples are shown. In the case of hard and abrasive media like slurry or river water in Example A, a spacer ring may be installed at the bottom of the housing to reduce the clearances and to prevent larger solids from entering the stuffing box. The lantern ring is placed directly behind the spacer and flush water can be applied as a barrier fluid. Example B shows the configuration for crystallizing media such as sugar, paint or plastics. Here, the first three packing rings seal against the media and the flushing medium provides a barrier against the crystallizing fluid. The two packing rings on the gland side act as a secondary seal to minimize leakage from the flushing medium. In Example C, the lantern ring is placed directly at the bottom of the stuffing box to flush with an inert gas, which acts as a barrier against potentially explosive or toxic media. The following packing rings act as a safety seal. In Example D, the lantern ring is used for leakage extraction in case of special or expensive media, which can be redirected into the production process. It has been assumed that pump packing friction and resulting power consumption is significant. 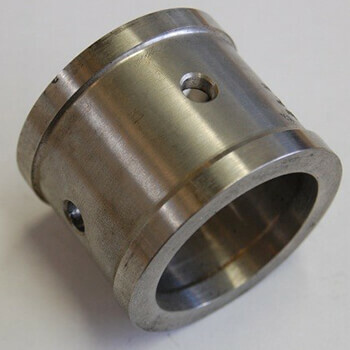 In particular, it has been assumed to be significantly more than the power consumption of mechanical seals under similar pressure, size and speed conditions. An exhaustive study commissioned by the FSA and the ESA together with an extensive testing program completed by the Technical Centre for Mechanical Industry (CETIM) were conducted to verify this assumption, and it has proven that this was not accurate. Equation 1 gives power consumption estimates that were one to two orders of magnitude higher than what was experimentally measured. In Equation 2, the packing types are divided into three classes based on representative packing type and leakage rates. The values used for different packing arrangements and an explanation of the calculation are detailed. An example is given to illustrate how to calculate torque and power consumption at a given rotational speed using Equation 2. A section on industry standards, regulations and environmental legislation was part of the handbook’s third edition. While updating the various provisions, it became apparent how fluid the information in this section is and how outdated it had become. To make sure that information will remain current, only general descriptions are used for the various topics. Details concerning title, revisions, general description, jurisdiction, applicable region or country, and the current status or comments are kept up to date in a regularly updated separate data file. It can be found in a link that can be accessed through the Publications tab under Pumps & Valve Packings at fluidsealing.com.